A visit to the website dreamteamfc.com would certainly be worth it because it will give a new and perspective to what quality gambling is all about. It is something which will help you to create your own mini league team, and the best thing is that there are chances of winning a whopping GPB 1 million by way of prize money. The price is also quite reasonable. By paying GCP 5 per team and with a transfer cost of 1.50 GPB per each window, you can aspire to have the best team with you. You are also entitled to buy 2 teams for 10 GPB, and when you pay GBP 25, you can go in for pre-paid transfers. It also allows you to take part in private leagues making it very special and unique. There are thousands of gamblers and sporting enthusiasts who believe that The Sun Dream Team is one of the best for those who have a special liking for certain sports and would also like to wager on the same and make money out of the same. One of the main reasons why there is a big demand for this online gambling platform is because it offers an honest shot at prize money of a whopping GPB 1 million. Further unlike many other such websites, they offer a chance to settle for mini leagues, private leagues, and other such events. This is apart from the main leagues where there is money, but at the same time, there is big competition. There are many variants of the games, and the charges are also extremely competitive and affordable, to say the least. Therefore, there are reasons to believe that it offers a total and holistic approach to sports-based gambling making The Sun Dream Team totally unique and different from many others who are into it. The proof of the pudding at the end of it all is in the eating. Therefore, the best way to know more about its success would be touch base with customers and find out what they have to say about this product. It would, therefore, be pertinent to mention here that customers have given this product thumbs up and won the hearts of thousands of customers. There are some who feel that GBP 5 per team is very much on the higher side. The same is the case with transfer fees as mentioned above. The number of transfers per season is only 6 which again is something that does not go well with many. Scoring systems also consider the ratings of players as available in News of the World and Sun, and there is a possibility that it might be rigged. Then there is the problem of considering different cup competitions which are in addition to the Premiership matches. Finally, there is the real risk of multi-entrant managers being in a dominating and deciding position. What Do the Rules of the Game Say? 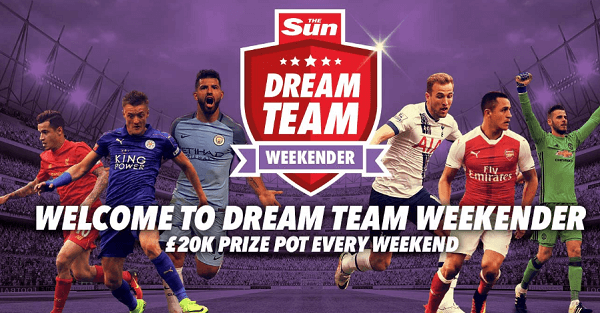 The rules of the game need to be understood properly before one gets into playing the game or starts betting based on The Sun Dream Team ratings. The first thing you must be doing is to choose 11 players from the list of players, and the budget should not exceed GBP 50 million. You are at liberty to choose either a 4-3-3 formation or a 4-4-2 formation. Once you are into the game, you have the option to choose between 2 transfer windows. The first one is in October and the second one in January. 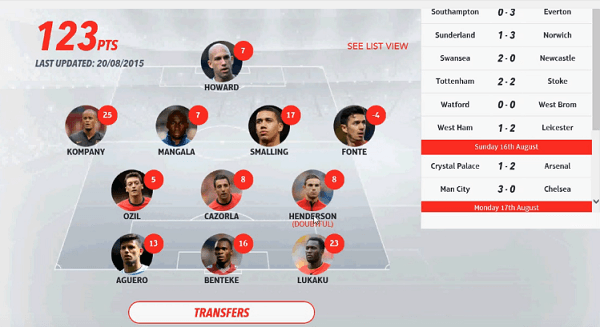 The managers can affect up to 3 transfers as far as each of these windows are concerned. There is also something known as Golden Gamble option which permits you as a team owner to postpone the section of the team until 31st August. However, in the process, you must forfeit the points that you have earned till hat time so that you can continue to enjoy the advantage when you are in the job of picking up the initial lineup. Though the basics of the scoring system are simple and easy to understand, you must follow them closely and understand how it works. There are situations where the scoring system could get artificially inflated because of player rating in the News of the World and Sun Newspapers. This is because of artificial manipulation of the points which could impact the entire season quite significantly. The goals are awarded based on a simple formula. For every 3 goals 5 points are given, and for every additional three-goal 5, additional points are given. Any team is having a clean sheet also helps a defender or keeper to earn 5 points, whereas 2 points are given to midfielders. For each goal conceded keepers and defenders lose one point. When a penalty is saved, the keeper gets 3 points, and for each booking, 1 point is deducted, and a red card means losing 3 points. Players who score 7 or more goals in the Sun rating also get 3 points. Further The Sun Star Man gets an additional bonus point of 5. Further, the top players of the season with the highest individual score will also be eligible for 20 additional bonus points for him and his team. When all the above factors are considered there are reasons to believe that it is a hugely popular game. This is mainly because of big prize money. The 2008-09 tournament saw the winning team walk away with a phenomenal GPS 250,000. This certainly is cool money, and not many would be able to match it under any circumstances. Further, there are no restrictions on the number of entries which one can make. This makes it possible to improve the chances of winning the best of prize money, provided they master the rules and regulations pertaining to the game. Everything said and done it certainly is a great game to be in and make some smart money.